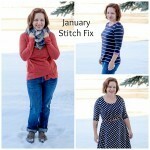 It’s been quite a while since I last posted a full Stitch Fix reveal. I’ve still been getting them, but I somehow got off track. I haven’t been overly comfortable in my own skin and was super self-conscious about how I looked. I had a few fixes in a row that were just “off” and I was getting frustrated. To be honest, I was thinking about pausing my subscription. After all, this fix was #59 for me–maybe I had just run my course with the service. I couldn’t quite bring myself to cancel, though, and sent a rather overly melodramatic note to my stylist. I decided not to ask for any particular item or style this time. Instead, I just said that it’s cold and blah, so warm and cozy might be the thing this time. I tried desperately to not have my heart set on any particular pieces and just let it go. I didn’t even peek when I got the shipping notification. After I had tried everything on, Scott laughed and said “You’re keeping it all.” My January Stitch Fix was just what the doctor ordered. If you’re after cozy, the Market & Spruce Pacci Cowl Neck Sweater is perfect. It has a flattering collar and is close to tunic length (at least on me! I’m 5’2″ for reference). I can see it being dressed up or down. It’s a loose fit, but not so much that it feels boxy or messy. I’m one of those people, too, who likes to be able to pull my hand into my sleeve sometimes. Again, the length allows me to do that while not being too long to look messy. And I’m always after flattering jeans and pants. I love that bootcut is back in style–I’ve always loved that style. The Kut from the Kloth Simmons Bootcut Jean has just the right amount of stretch and they’re super comfortable. I’m still so thrilled that Stitch Fix offers petite sizes–years of having ill-fitting pants took a toll on me. The right length really does wonders for feeling put together. I love a flattering fitted sweater. I have found them difficult to come by. I’m short and curvy and fitted sweaters often make me feel like a fuzzy block. To be honest, when I pulled out the Renee C Jedie Striped Sleeve Pullover I didn’t think much of it. When I put it on, though, I knew it was a keeper. 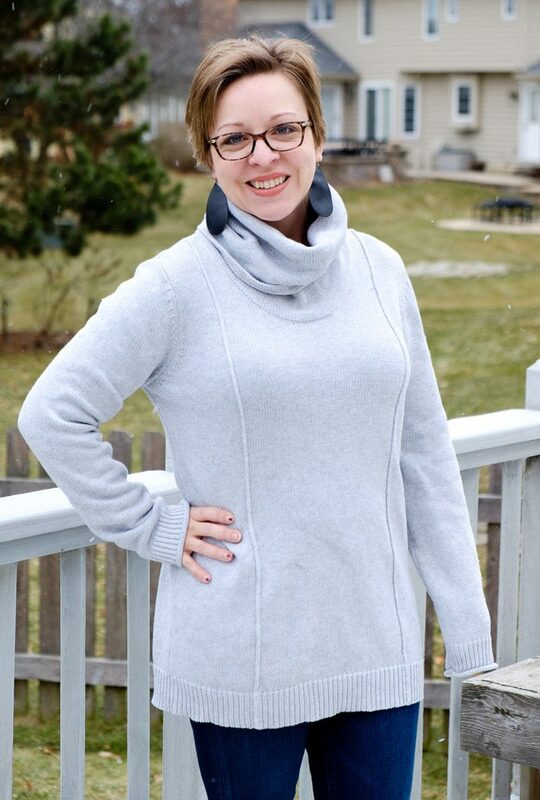 The sleeves are fun and the sweater itself is flattering and comfortable. It was an instant self-esteem booster. For one of my previous fixes, I had asked for tunics or dresses that could be worn with leggings. I wasn’t sure what to make of the Free People Harlinne Side Slit Knit Top when I pulled it out of the box, but once I put it on, I was imagining it with fun leggings or skinny jeans. I love the tunic length, but I really love how flattering the scoop neck is. I was reminded with this fix just why I’ve stuck with Stitch Fix for so long. While each fix hasn’t been perfect, I have been given the grab and go wardrobe I’ve always wanted. My clothes fit. I have a great combination of casual, business, and dressy and feel fantastic in all of them. 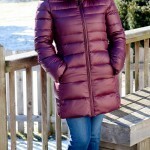 I’ve also been pushed to try items that I would never have otherwise, like the Marc New York Aleksai Puffer Vest. I’ve never looked twice at puffer vests in stores and never thought to request one. I put this one on and Scott said it was reminiscent of Princess Leia, which is pretty much the highest compliment ever. To be totally honest, the vest is a tad bit big, which is unusual for me for tops, but the smaller size wasn’t available for exchange. I decided to keep it anyway. It’s comfortable and warm, a bit sci-fi, and I figure if I wear a bulkier sweater underneath, I’ll be grateful for the extra room. So, my friends, my advice to you is this: if you’re frustrated with your fixes, try to figure out why. I knew that part of my frustration was being self-conscious over a bit of weight gain. I was being too particular about what I was expecting in my fixes. As I’ve learned over and over again, some of my best fixes have been the ones where I’ve left a general note and left it up to my stylist completely. 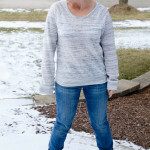 My January Stitch Fix was a big success–I can’t wait to see what fix #60 brings! 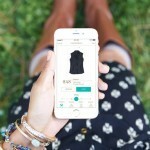 Stitch Fix has an App!! You look great in all of them! I love that striped sleeve sweater! So fun, and flattering! And I completely hear you on the being self-conscious after a bit of weight gain. 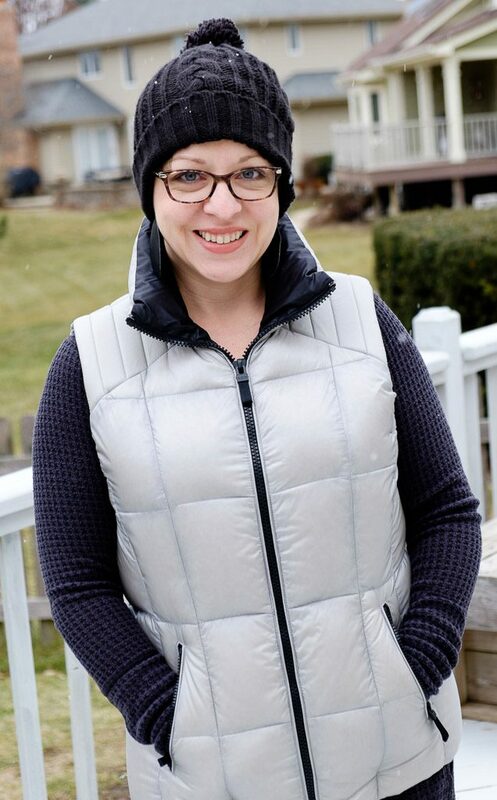 My husband had to talk some sense into me, and once I got some clothes that fit, and were flattering I started feeling a little better about myself.